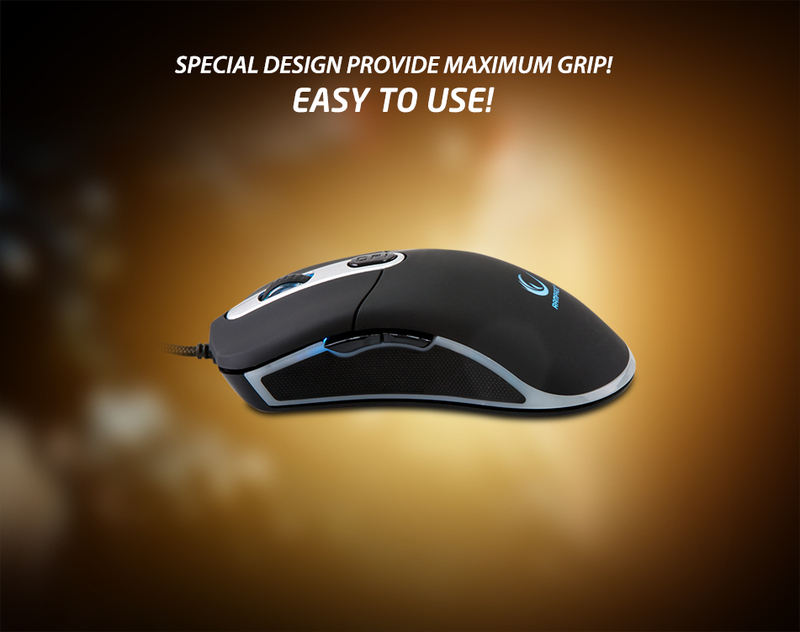 Everest Rampage SGM-RX7 USB Black 4500 DPI Gaming Mouse Pad and Gaming Mouse; Strong uses 4500 DPI Avago laser sensor. 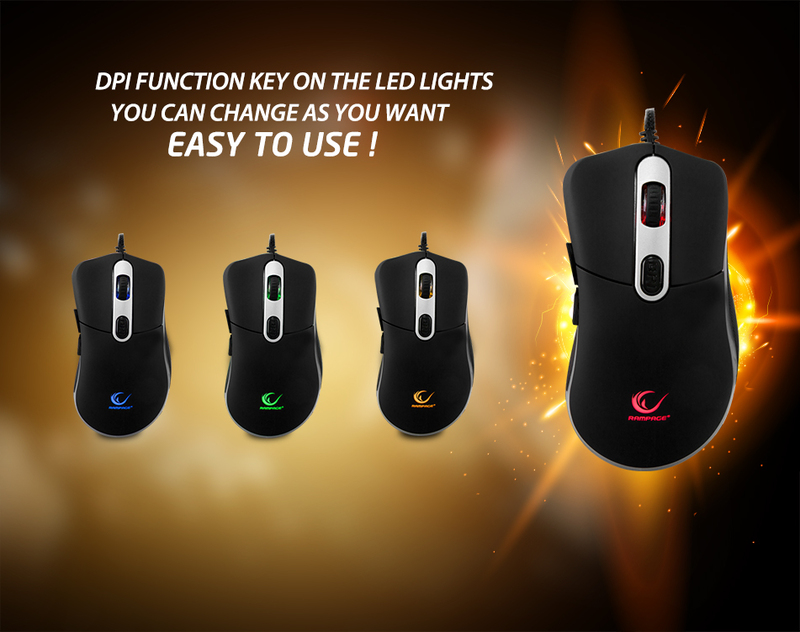 You can change the large DPI options even while the game.Thanks to its special design provide ease of use and excellent handling. 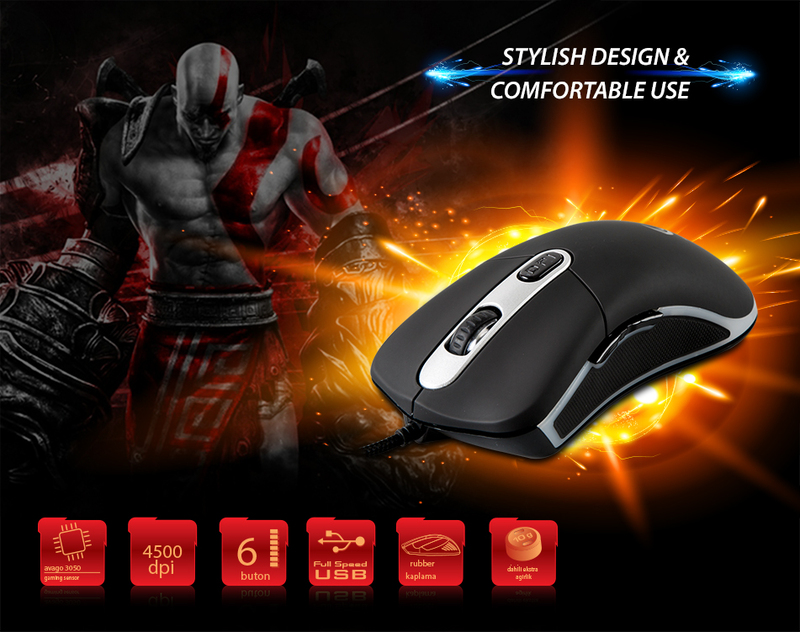 Special design of SGM-RX7 makes it different from another gaming mouse. With your mouse on the bottom, surface Skate allows you to maintain more convenient and easy. 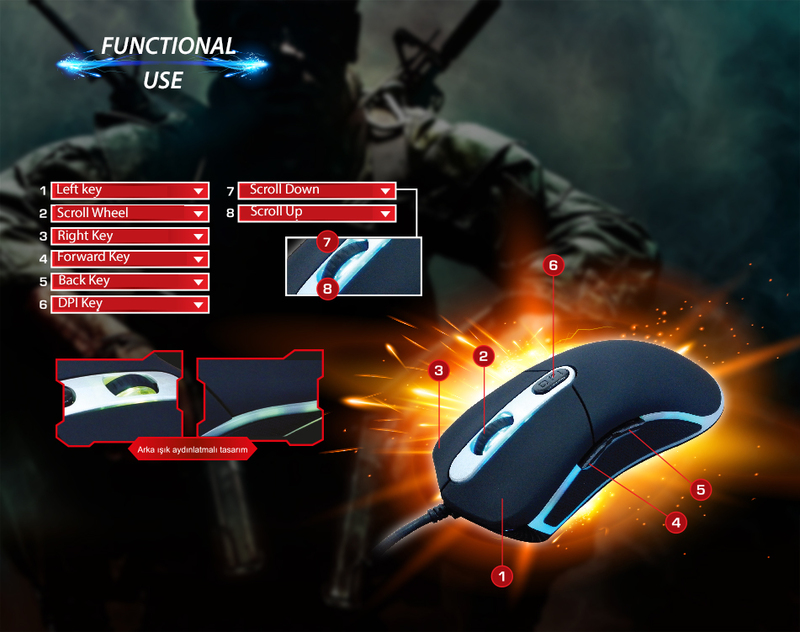 Everest Rampage SGM-RX7 USB Black 4500 DPI Gaming Mouse Pad and Gaming Mouse; Soft-touch structure and unique design which is manufactured using quality materials to play with Everest SGM-RX7 Enjoy! you can perform your process easily through 6 functional key. Everest Rampage SGM-RX7 USB Black 4500 DPI Gaming Mouse Pad and Gaming Mouse; Scroll key, DPI function keys and forward and back function keys allow you to easy to use. With these keys will perform the operations more quickly and easily. Everest SGM-RX7 comfortable with soft-touch structure has been designed in a manner resistant and sensitive. 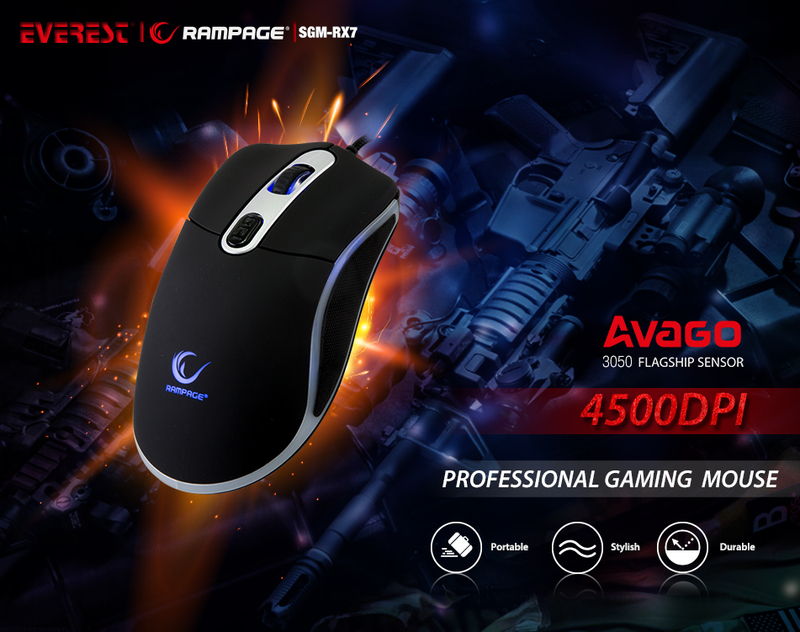 Everest Rampage SGM-RX7 USB Black 4500 DPI Gaming Mouse Pad and Gaming Mouse; SGM-RX7 provides 4 different DPI setting options which are easy to use. 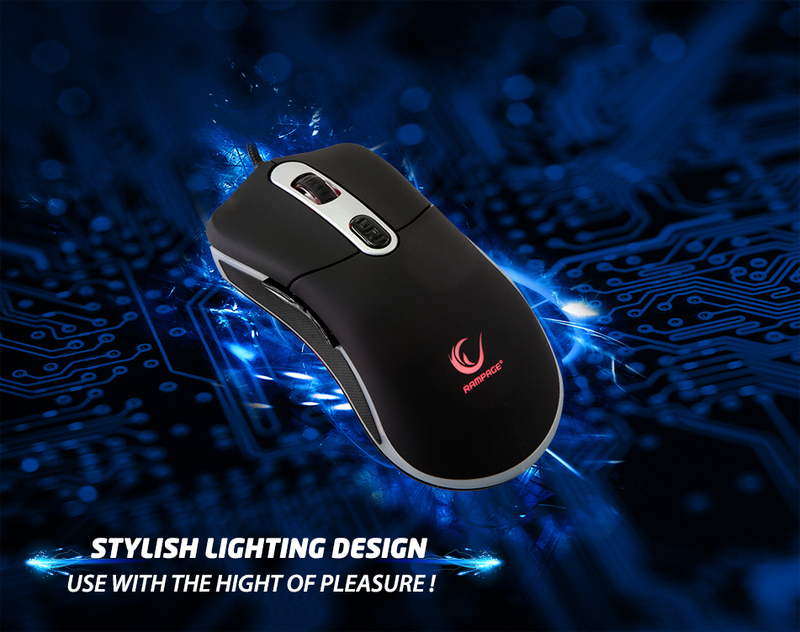 Constantly changing LEDs lights provides different visuals, enjoy your game. 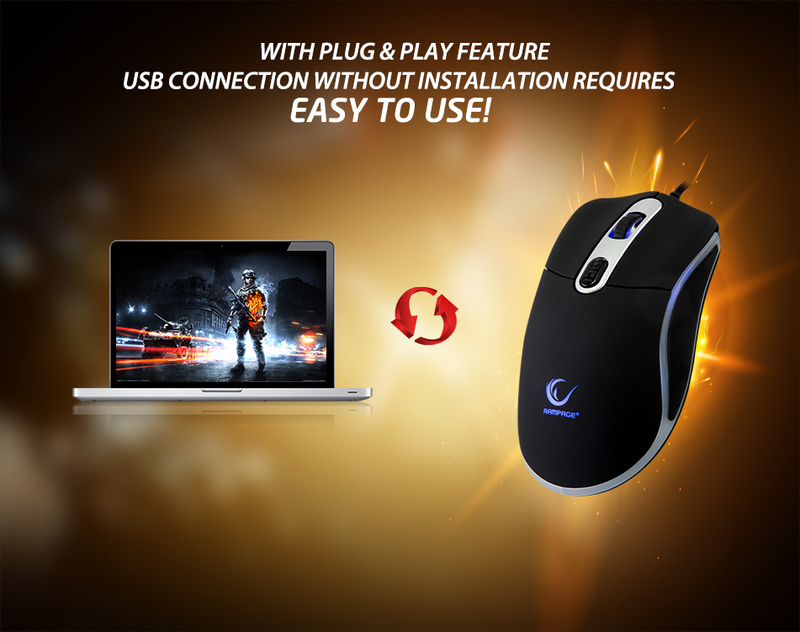 Everest Rampage SGM-RX7 USB Black 4500 DPI Gaming Mouse Pad and Gaming Mouse; SGM-RX7 Designed to fit perfectly in your hand and its offers a seamless user's enjoyment. LED lights as visual design is an impressive design. Everest Rampage SGM-RX7 USB Black 4500 DPI Gaming Mouse Pad and Gaming Mouse; It provides maximum grip through the special design of curves on side surfaces and prevents slipping off your hand on the mouse button to select during the game. 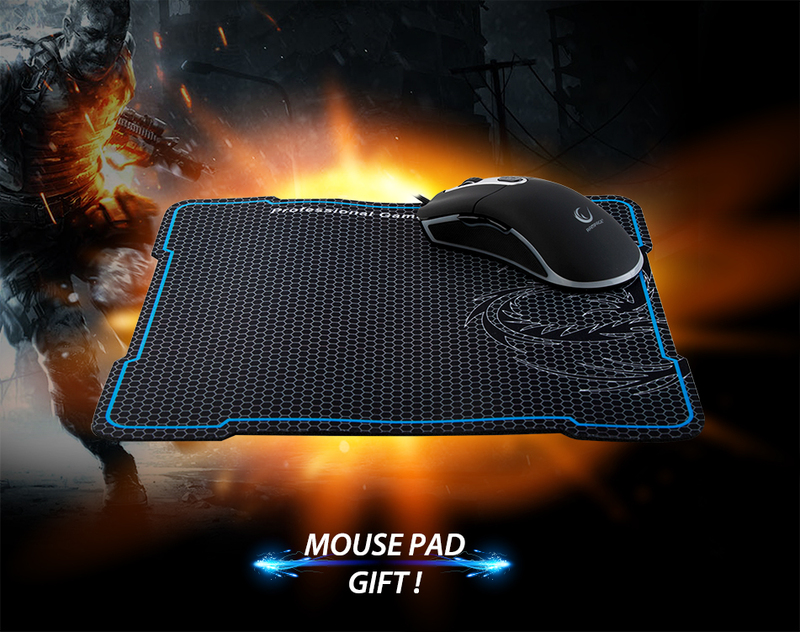 Everest Rampage SGM-RX7 USB Black 4500 DPI Gaming Mouse Pad and Gaming Mouse; included in the package contents printed mouse pad GIFT for which is designed in Black / Blue colors. Everest Rampage SGM-RX7 USB Black 4500 DPI Gaming Mouse Pad and Gaming Mouse; use easily with its plug and play feature without requiring any installation and wasting time. 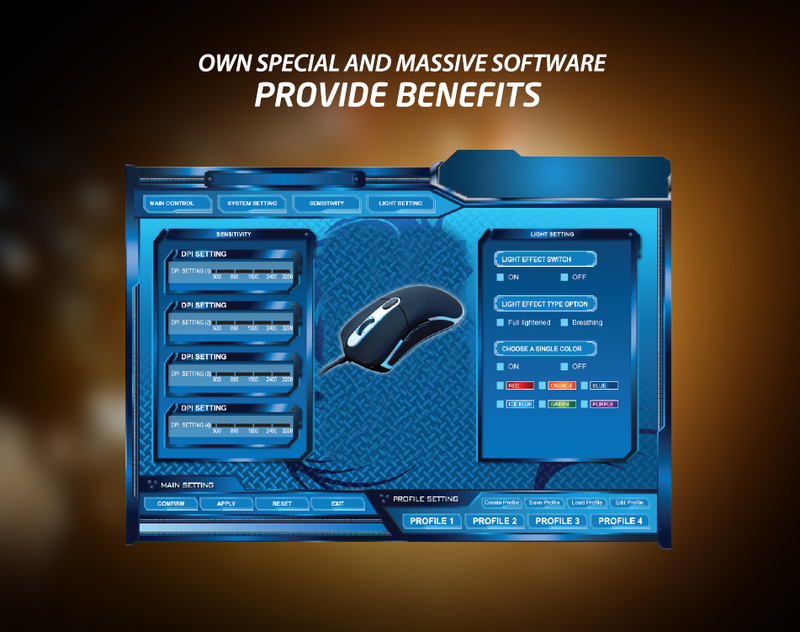 Everest Rampage SGM-RX7 USB Black 4500 DPI Gaming Mouse Pad and Gaming Mouse; Everest Rampage SGM-RX7 function you want to own the 6 keys on the mouse with software or you can assign the order. You can create massive combinations as you want.